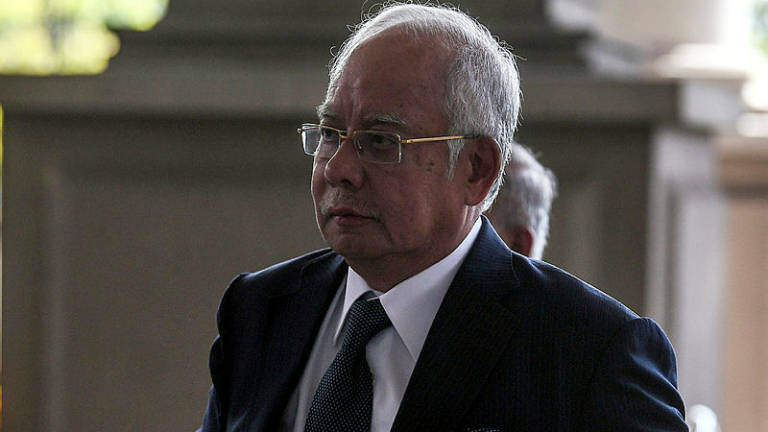 16 Apr 2019 / 12:29 H.
KUALA LUMPUR: The High Court here today fixed 15 days beginning Nov 18 for the trial of the alleged tampering of the 1Malaysia Development Berhad’s (1MDB) final audit report involving former prime minister Datuk Seri Najib Abdul Razak (pix) and 1MDB former chief executive officer Arul Kanda Kandasamy. 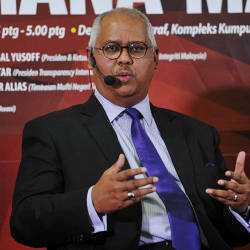 Earlier, Najib, 66, represented by lawyer Tan Sri Muhammad Shafee Abdullah and Arul Kanda, 43, represented by lawyer Datuk N. Sivananthan claimed trial after the charge was read out separately to them. 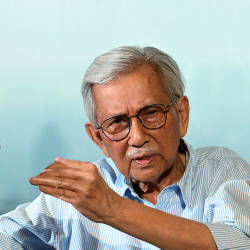 “The trial is fixed from Nov 18 to 29, 2019 and Jan 13 to 17, 2020,“ said Mohamed Zaini who also set Aug 29 for case management.